I am like a butterfly emerging from her cocoon. The boys, almost overnight, have stopped needing me to carry around 100 different things in my handbag. From wipes to spare clothes and even the odd sticker book and snapped crayon. It’s just not happening anymore. Meaning I can evolve from massive handbag with bottomless capabilities to something sleeker. That is the thing about motherhood, there are milestones that don’t seem to be found in parenting books. I have hit the ‘Small Handbag’ milestone and it feels fantastic. I fear that this milestone may have been hit a while ago but because of that old faithful ‘I don’t want them to grow up’ mentality of mine I don’t think that I even noticed until I started thinking about my cosier autumn wardrobe and thought ‘could I have a smaller bag?’. With handbags I really try to avoid buying anything that is currently on trend in favour for more classic and simple designs. Meaning that I can style it from season to season. It just seems like the more savvy thing to do. The amount of handbags that I have spent money on in a moment of fleeting pink leopard print madness, to then just end up in the bin or local charity shop is something I don’t even want to start adding up the cost of. 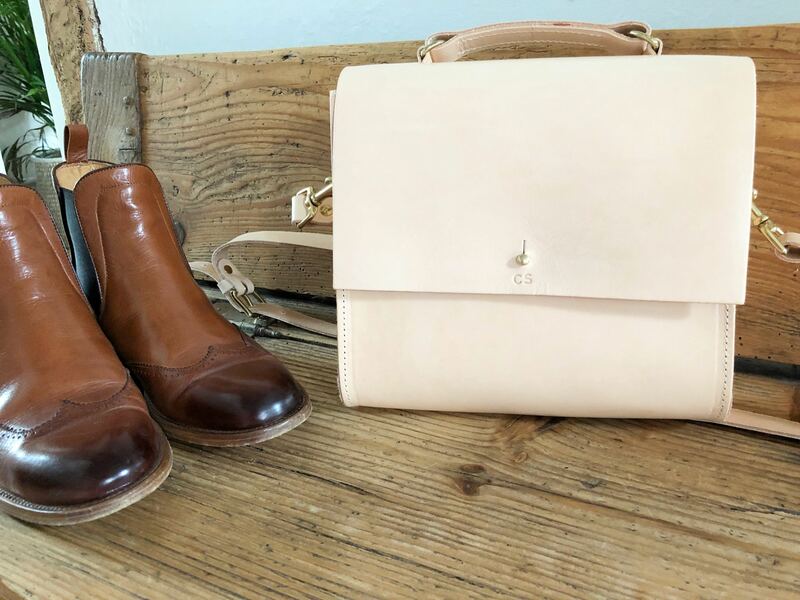 I like to invest in good quality leather bags knowing that they will last. 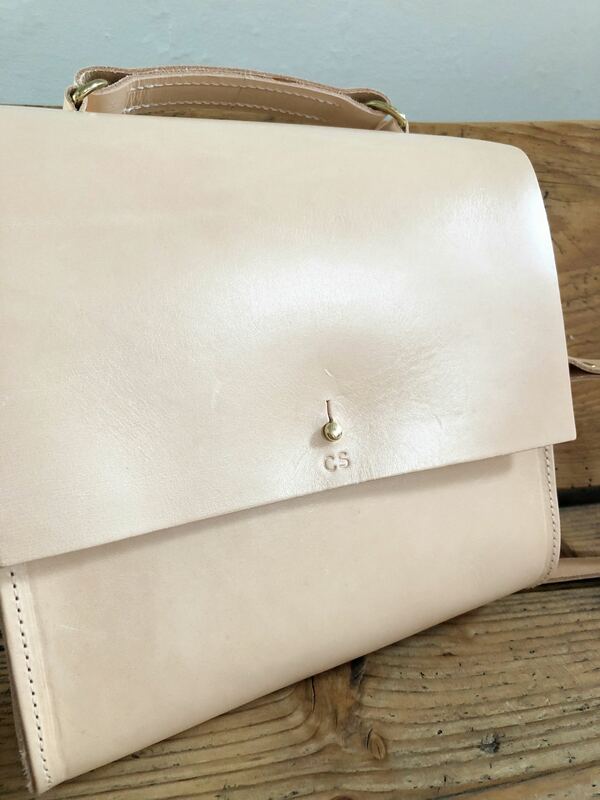 The thing with leather is that often the older and more loved the bag, the more beautiful it looks. I have such great expectations for this little bag. 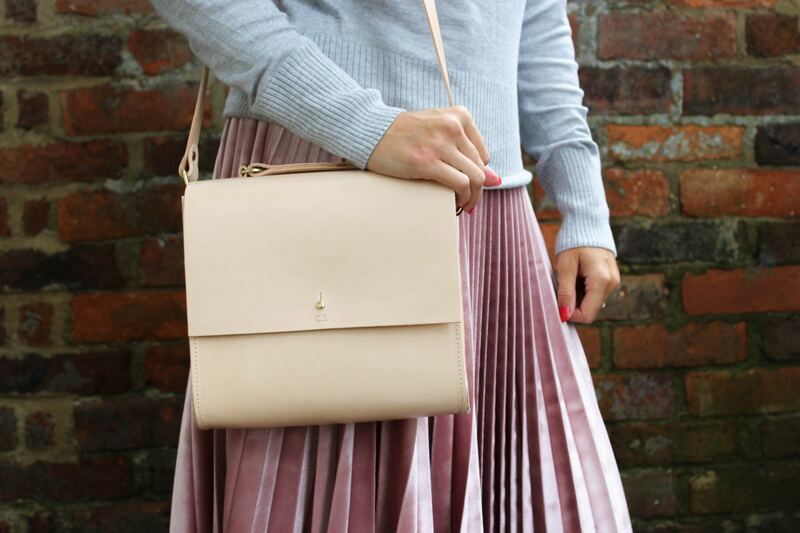 I love the blush pink colour of this bag and the fact that I mainly wear grey means it will go with most of my wardrobe. It has the ability to look fab with a number of looks ranging from smart workwear all the way through to my more familiar look of the ‘casual, just popping to the shops, I won’t buy anything I promise’ look. I am feeling super swanky to finally have a bag with my name on. It’s like I am 5 again, but this time it’s about being special and not about making sure I don’t lose it! 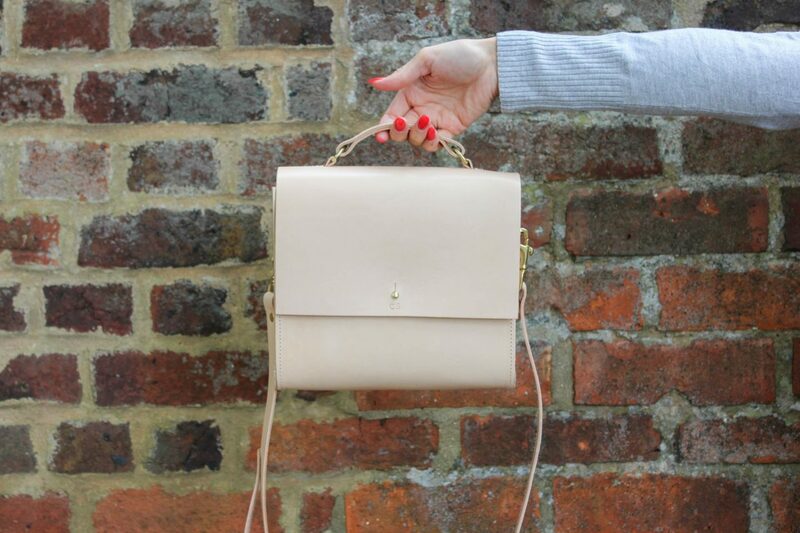 Pop over to Esty’s Instagram as they are running a competition for one lucky person to win a handbag up to the value of £500! 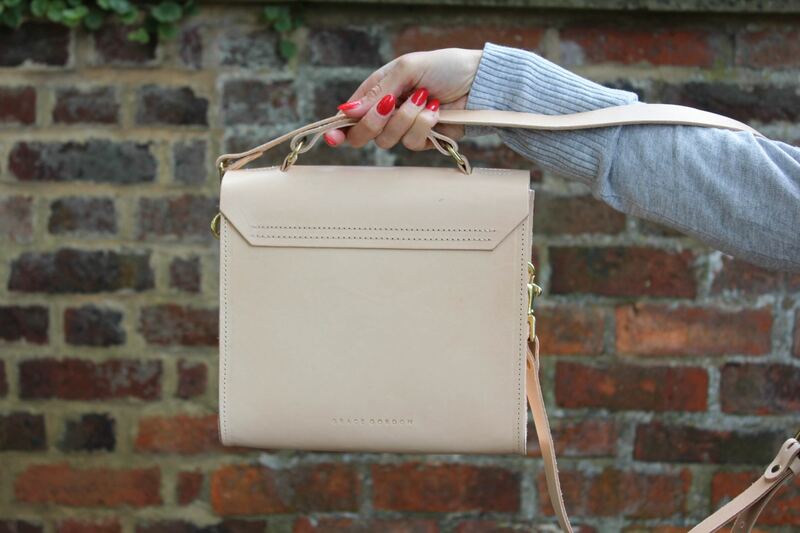 *This is a sponsored post and Etsy kindly gifted me the handbag of dreams. However all words are my own and the handbag is very much loved.